I'm not a groupie. I never was and, because I'm almost seventy, chances are slight that I'll ever become one. When I was a teen, while the other kids in my class were taking interest in Elvis Presley and later on when they were letting their hair grow to look like the Beatles, I was dreaming of wearing those funny little round glasses that I saw on Schubert's portraits — even though I wasn't myopic — and I was yearning to look as pale and neurasthenic as I imagined Chopin was; I never succeeded. I'm not at all a groupie but what I experienced recently left me rather puzzled; I almost thought I was, at least for a moment. I had the tremendous opportunity to play with Jonathan Bélanger & the Mando Montreal Orchestra in the New York International Mandolin Festival. Playing in such a venue is, in itself, an accomplishment for who is passionate about mandolin music. During those three days we had the opportunity to meet exceptional musicians such as the mystic Snehasish Mozumder, the international stars Mark et Beverly Davis, the fascinating Tamara Volskaya, of course the New York Mandolin Ensemble, the Improvviso Quartet and The 14 Strings Duo, astonishing virtuosos from Italy, the motherland of the mandolin, and, above all that, the stars everyone was looking for, Caterina Lichtenberg and Mike Marshall. Those who know me personally could testify that I am probably the biggest fan of Caterina Lichtenberg. (Don't forget that there’s a big step between being a fan and a groupie!) Over the years I browsed through YouTube to find and enjoy all her videos, I listened to her CDs, I know by heart her two videos Basic Techniques of Classical Mandolin and Classical Mandolin: The Art of the Tremolo, I follow her teaching on ArtistWorks.com, I regularly struggle with her Highlights (Romantic etudes for mandolin). I pushed the logic even further and ordered Wolle plectrums along with Thomastik strings directly from Germany, hoping that if I play with the very same accessories she’s using I would get a glimpse of her talent; it didn't work! Knowing that she studied with Marga Wilden-Hüsgen, I ordered, from Germany again, the Mandolinen-Schule, hoping that by chance some magic would occur: it didn't work either! So, can you imagine how I felt when, at the end of the first concert, I met her, face to face, in the hall? For a moment, I felt like a pre-teen girl suddenly bumping into Justin Bieber. But the best is yet to come! The second day of the festival came our performance. We got to the hall early in the morning for the last minute practice and the sound check. Like all the other musicians, we stored our gear in the green-room; in fact, the green-room wasn't green at all nor was it a room. It was like a huge closet loaded with kids’ furniture (a daycare center maybe?) overloaded with mandolin cases, music stands, luggage, shoes and clothes, bags with fruits and sandwiches and undefined objects; everybody was trying to find a small free space to sit while waiting to be called. 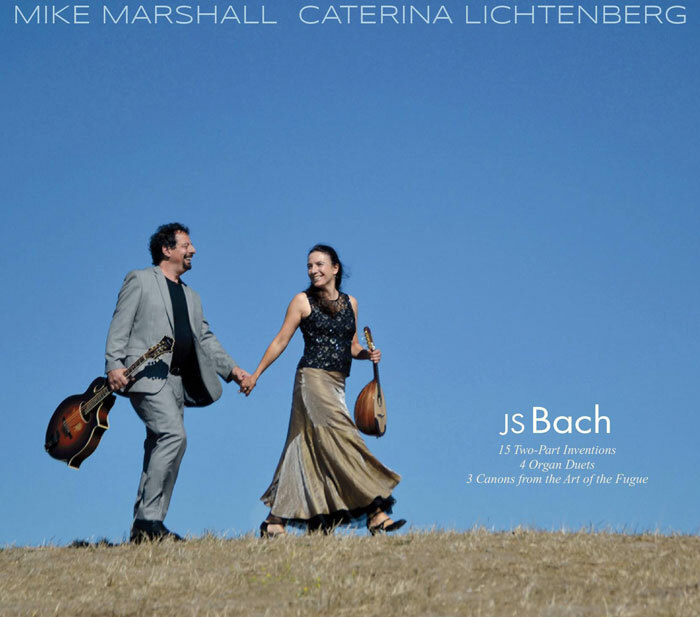 And among those "homeless" musicians, there was Caterina Lichtenberg and Mike Marshall with their two adorable daughters. So, it's in this weird and unusual situation that I have learned to know two incomparable musicians and two profoundly generous human beings. 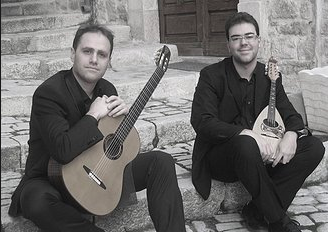 There is no doubt that they are among the greatest virtuosos. Mike Marshall plays, improvises, he flies inside the music with such ease that it leaves us speechless. Meanwhile, Caterina is some kind of musical neurosurgeon: such precision in her play, each note, each chord produces such rich sound; her phrasing is of an unsurpassed elegance; all the notes flow like a crystal stream. "C'est du très grand art!" But, even if it seams impossible, there is more. These masters of technique are totally devoted to music, they live for their art, they give all their soul to their public. They both share this essential quality that every major artist should have: generosity. They are beautiful; they smile; they share special moments with the audience; they tell sweet little jokes at the right moment. They were born for music; they were born for the stage; music absorbs their entire beings. They behave in such a way that we can't stop loving them. They hold hands when they bow to the audience; they talk freely about their unconditional love for their children; and they get back to their seat and play Bach, Calace, Choro or even Bluegrass music. And they start all over again and again until the audience is bewitched. They are on stage as they are in life: prodigal of their art and of their love. You never forget meeting these people. I won't!